Written language is visual. 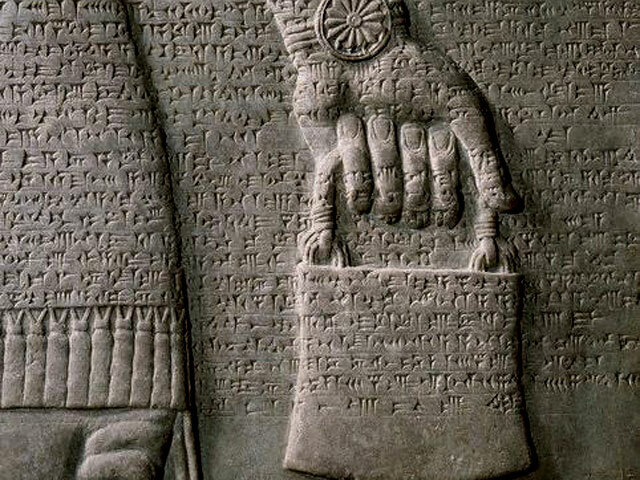 So the history of writing, like the Sumerian cuneiform shown here, is part of the history of visual communication. To follow that history, check out The History of Visual Communication website created by Elif Ayiter, a professor at Sabanci University in Turkey. The “tension” between words and pictures is mostly a consequence of how documents were produced before desktop publishing and the web. Some folks were good at words, and they did the writing; others were good at pictures, and they did the visuals. A few groups of professionals have always needed sophisticated visual communication skills. Think about engineers. But, in the 21st century, most professions require some skill in communicating with more than words (and body language). A banker needs to share interest rate returns with his boss. A nurse needs to create a medication schedule for a patient. A social worker needs to describe the process for medicaid application to a client. In all of these scenarios, visuals or graphics would be more effective than either oral or written language alone. Pros show, as well as tell, their message. Sadly, North American education places little emphasis on visual literacy or visual communication. So most amateur writers have limited experience creating graphics before they get to the workplace. The graphics or visuals students do create are aimed at teachers. And, once again, this limits students’ ability to create effective graphics for workplace readers, who are less patient and knowledgeable than teacher-readers.